Our Deodorized Cocoa Butter is obtained from the fruit seeds of the Theobroma cacao which grows in tropical regions throughout the world. The butter is extracted from the seed kernels and is further refined and deodorized to remove strong or undesirable chocolate-y undertone of regular cocoa butter. This cocoa butter is much lighter in scent than standard cocoa butter, making it ideally suited for use in cosmetics and toiletries where the full odour of Unrefined Cocoa Butter is undesired. 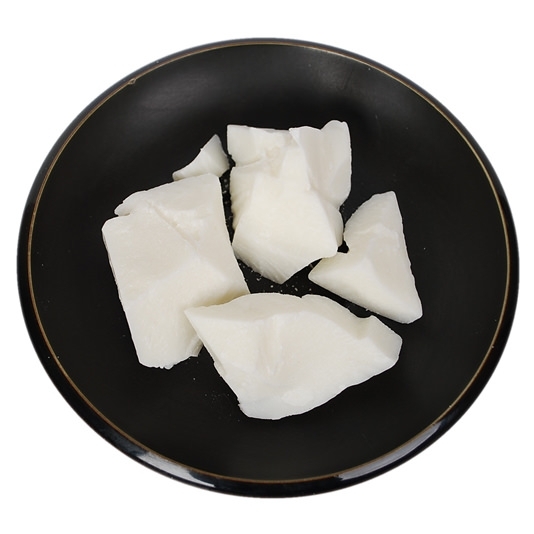 It is a relatively hard butter with a steep melting curve, ideal for body care products. Our Deodorized Cocoa Butter is deodorized via steam injected into the melted cocoa butter to drive off the components which contribute to the odour. The product is then treated with diatomaceous earth (clays) which remove the colouring agents. From a cosmetic and skin care application standpoint, Deodorized Cocoa Butter is used for its natural emollient properties and to bring stiffness to the end product.